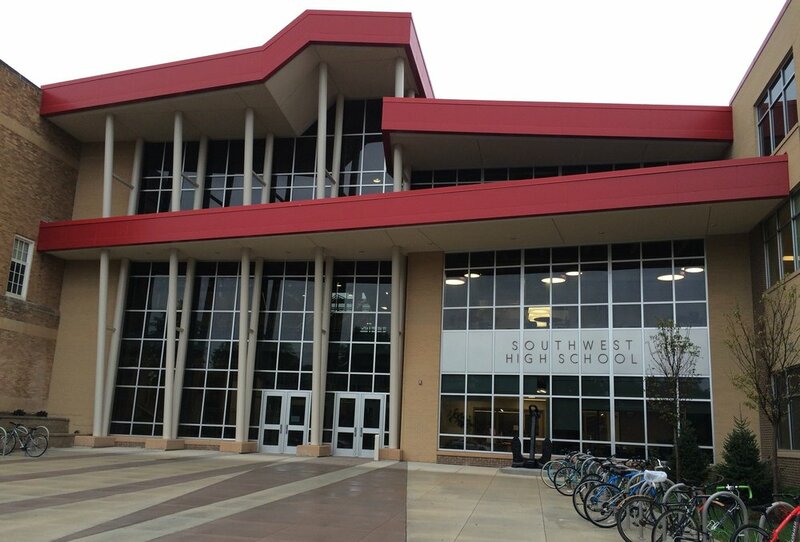 Southwest high school has a long history of excellence and service. Please support Southwest and its great students—past, present, and future—with a gift today. The Southwest Foundation supports Southwest High School, recognized nationally as one of the top public high schools in Minnesota. Located in the southwest corner of Minneapolis, Southwest was founded in 1940 and quickly became an academic, athletic, and artistic powerhouse. As state funding for education ebbs and flows, Southwest’s community steps in to fill important gaps and ensure that the students at Southwest continue to receive an excellent education. The Southwest Foundation represents a merger between former alumni and parent fundraising efforts. In the early 1980’s, recognizing the increasing importance of a college degree, Southwest alumni organized the Southwest Foundation to raise money for student scholarships. Named scholarships, recognizing former Southwest teachers, students, and volunteers were established and now help over 26 graduating seniors each year. In the early 2000’s, parents at Southwest organized the Quality Education Campaign, later named the Southwest Education Fund, when they saw declining budgets impact Southwest’s ability to ensure that every student, regardless of background, receives the tools they need to succeed. In 2013, the alumni and parent fundraising groups combined to create the new Southwest Foundation, which continues to work to provide an exceptional experience for all Southwest students. Seniors at Southwest may apply for scholarships from the Southwest Foundation in the spring of their senior year. Southwest's guidance counselors provide information about scholarships and how to apply online through the Naviance system. Scholarship winners are announced at the Senior Awards Ceremony each May. In the 2017-18 school year, the Southwest Foundation will support Southwest's students with a huge variety of programs. The Foundation's goal is to raise $110,915 to fund approved grant requests submitted to the Foundation in the spring of 2017 by teachers and the administration. and technical personnel to support assemblies, classes, rehearsals and performances in the auditorium. Please give to the Foundation here to help give Southwest's diverse student body the tools and experiences they need to thrive. The Southwest Foundation Board meets the 2nd Wednesday at 6:30 p.m. monthly during the school year. If you are interested in attending a meeting or serving on the Foundation's Board, please see our Southwest Foundation Meeting Info Page for our next meeting date, location, and agenda.